Join Lauren and Taylor in their continuing money adventures as their teach their friends, Ryan and Christopher, how easy it is easy to save, spend and share. Lauren and Taylor are so excited! Their good friends, Ryan and Christopher, are staying with them for the weekend. They plan to spend plenty of time at the beach until Christopher discovers a toy he wants RIGHT NOW! Unfortunately, he doesn’t have enough money to buy the toy, so the gang puts their heads together and come up with a great plan to earn money with a lemonade stand. Now they each have a pocket full of hard-earned coins and need to decide how to use their money. 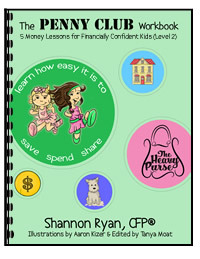 The girls teach the boys a new game and show them how easy it is to save, spend and share. What I loved about The Lemonade Stand is that it shows how lessons can be learned even when you’re not looking for them. I love that it creates excitement in kids that money can be fun and teaches them to view it as a tool to provide for the people and things you care about. I highly encourage those with young kids to check out the book if you’re looking for a practical way to teach your kids about money. 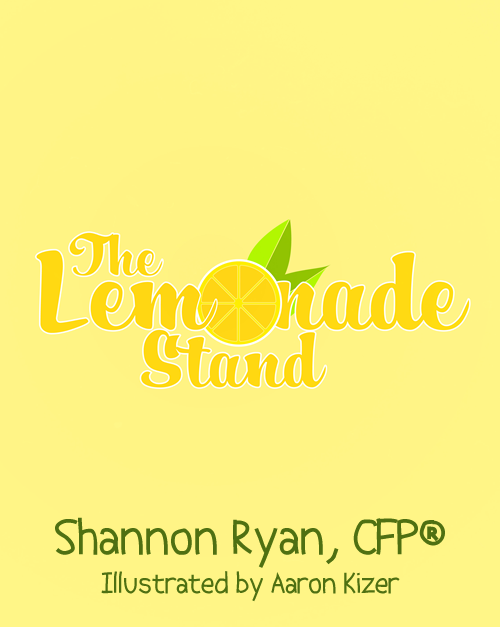 Shannon recently wrote a children’s book called The Lemonade Stand. It’s a really cute book that teaches kids how to spend, save, and share. I especially love the sharing aspect and really liked Shannon’s example of donating to the animal shelter. In the future, I look forward to learning more from Shannon about how to teach our children about finance. What I liked about the book was the demonstration of self-sufficiency but also the wise allocation of the profits made against wants, future needs and charity. Children can identify themselves easily in these characters, and in doing so realize they too have the capacity to do whatever it takes to make their dreams come true. 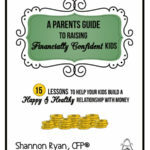 Raising financially confident children is a big goal in my life, and I have to say that in my opinion, Shannon is the authority on this topic. I was so excited to read her new book The Lemonade Stand. 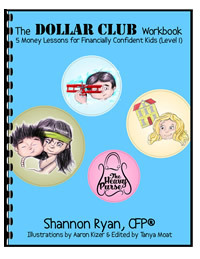 It is a book that kids will enjoy reading, while learning some very important financial lessons. What clearly is the highlight of the book for me is how the children learn to share with others in the end. Saving and spending wisely are of course important concepts to grasp. However, giving is the part of a person’s financial plan that is often neglected. That’s too bad because in giving we find blessings that cannot be measured in dollars. Kids need to learn that at a young age. Looking for an e-Book version of The Lemonade Stand? You can find it on Amazon for your Kindle and coming soon to Barnes and Noble and iBooks. 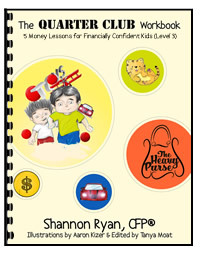 Shannon Ryan is a Certified Financial Planner (CFP®) and Mom on mission to help increase financial literacy in children. 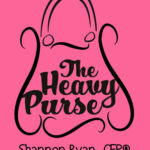 She created The Heavy Purse series and its companion workbooks to help busy parents teach their children simple, value-based principles to guide their money decisions and support their long-term financial well-being. Shannon and her husband, Chris, live in Manhattan Beach, CA with their two daughters, Lauren and Taylor. Learn more about Shannon, here.